Sumit Decor is a company specializing in Large Scale Architectural, Corporate/Residential Interiors, structural work and is committed to delivering Design Excellence through a Turnkey Model. It is one of the “Original” few companies that pioneered into and brought the Turnkey model into Architectural/Corporate and Residential Interiors when very few Architects or Designers would venture into this territory. We are a Design & Build Company. Our other company Engineering Design Consultancy provides Consultancy Services for Design & Project Management. Sumit Decor has dedicated and experienced interior design and renovation teams – we thrive on challenges and can tackle projects of any size. We cater specifically to busy people who want a no-hassle full-service, one-stop solution. Never hired an interior designer before? No problem; Sumit Decor is the no-fuss full-service alternative. We take the time to learn about our clients’ needs and we create designs that perfectly match the requirements. Our skilled trades people then implement the design under the guidance of our professional project managers. It’s the perfect hassle-free one-stop solution. 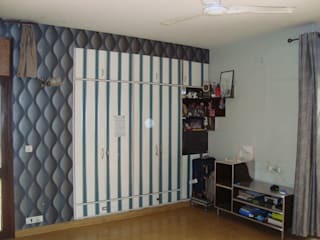 Sumit Décor has established a reputation for creating luxurious, elegant, classic and modern interiors for clients. We have the team that stays with your project all the way – from original sketches, through implementation, to final presentation and showcasing. One of the best Architectural and design team who brought the Turnkey model into Architectural/Corporate and Residential Interiors. We are a Design & Build Company.